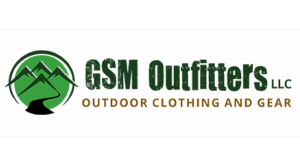 At GSM Outfitters LLC, we're not just here to be your source for outdoor clothing, gear and supplies but your fellow nature enthusiast guide! As experienced hikers with a great love for the outdoors, we can provide insights on places to visit like National Parks, park information, hiking routes, optimal gear along with outdoor practices to take note of and even nearby attractions! Owned and operated by fellow hikers, we have intimate knowlegede on local trails and more. We can connect you with the best spots for hiking and camping along with ideal routes to take! Be sure to stop in our shop for a hand-made map that will make a world of difference when planning and engaging in your outdoor adventures. We can help you plan out effective routes as well! Whatever questions you may have regarding outdoor excusursions like fishing, camping, hiking and more we're here to be your guide in more ways than one!